The festivals month may be drawing to a close but the Edinburgh Mela Festival offers one of the most varied and culturally diverse programmes suitable for all ages. Founded in 1995, the Mela is one of the younger festivals and has grown out of a desire to bring together and understand different cultures. This year sees a bigger, bolder event. It has a new site by Ocean Terminal in Leith, a new sponsor in Forth Ports and the event is a full week rather than a weekend. And it is my first year in post as director. The term "Mela" is a Sanskrit word meaning "gathering" and is traditionally used to refer to South Asian festivals. However the Edinburgh Mela 2008 includes acts from China, Africa and South America, as well as Asia and Scotland. It truly is one week and a whole world of creativity. Highlights include the Scottish Government-funded Yatra/Journey, bringing together traditional South Asian and Scottish musicians with Japanese drummers. There is also a theatre piece called Jihad: Inner Struggle, telling the story of two flatmates, one Jewish and one Islamic. 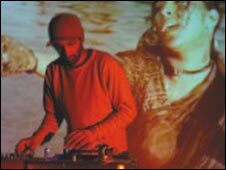 Stars of British Asian music Tariq Khan and Rishi Rich will make an appearance and there is an an outdoor screening of Indian Oscar-nominated Mother India with a new soundtrack performed live. There is also a circus with a difference - aerial aerobatics accompanied by hip-hop. Our first ever film strand features Khuda Kay Liye (In the Name of God), the tale of two Pakistani brothers and Mistaken, the first feature film made by South Asian Scots Diaspora. We're all feeling the pinch just now but Mela has lots of free and cheap events. Under 12s go free, and children's activities include drama, crafts, dance and story-telling. So I hope you will join us from 25 to 31 August. Come to mingle, eat and drink. Be inspired, excited and enthralled at what promises to be a true "gathering" of cultures from around the world.